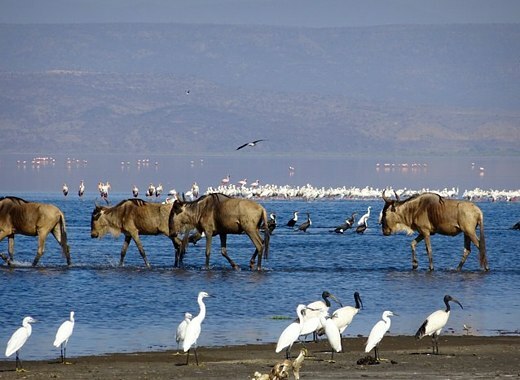 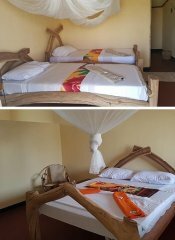 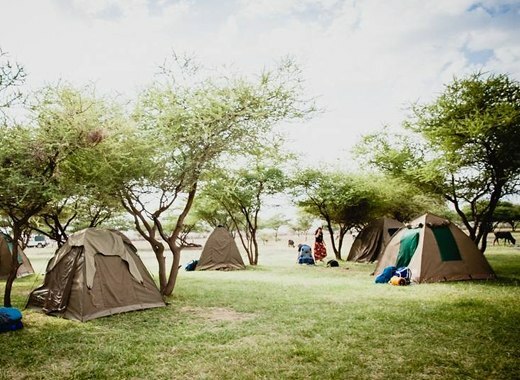 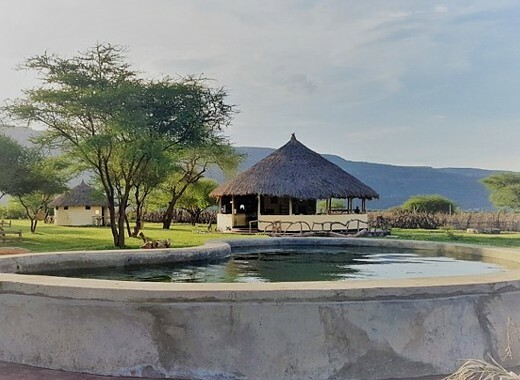 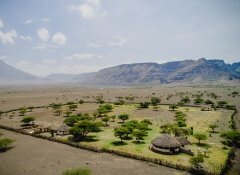 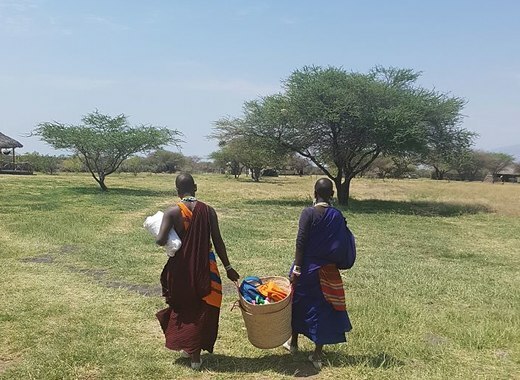 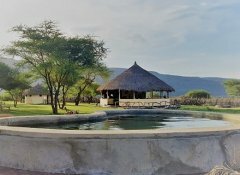 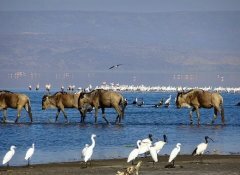 With traditional decorations and solar-powered, Masaai/Belgian operated Maasai Giraffe Eco Lodge offers at the southern tip of Lake Natron guest rooms as well as a campsite. 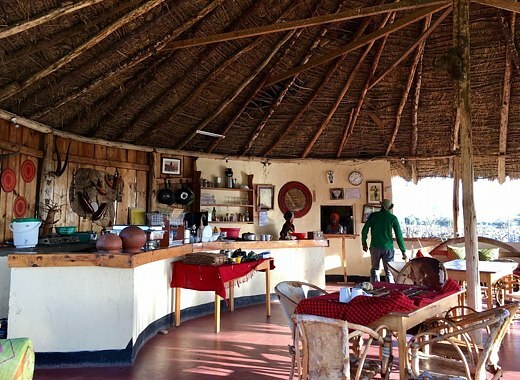 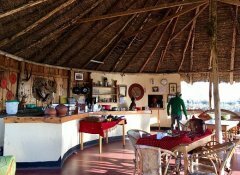 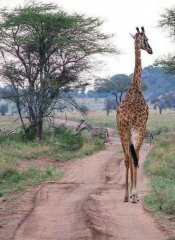 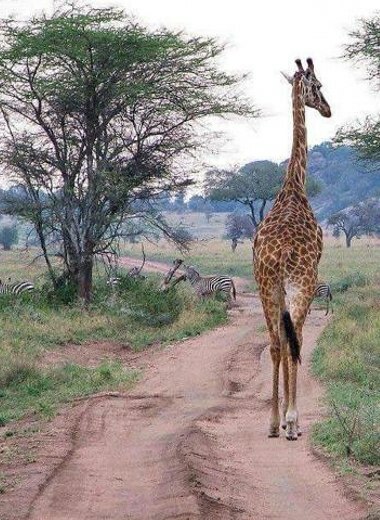 Watch giraffes walking past while enjoying your morning coffee in the thatched kitchen dining area (meals on request). 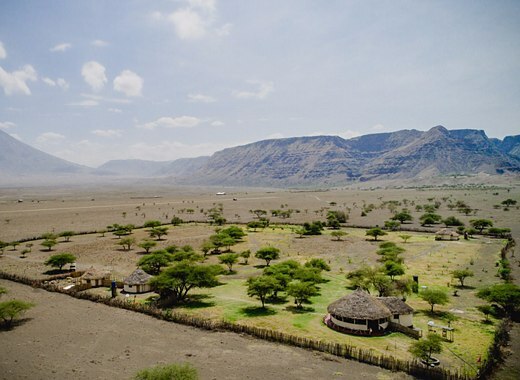 Experience local culture off the beaten track, a Tanzanian safari and the nearby volcano.